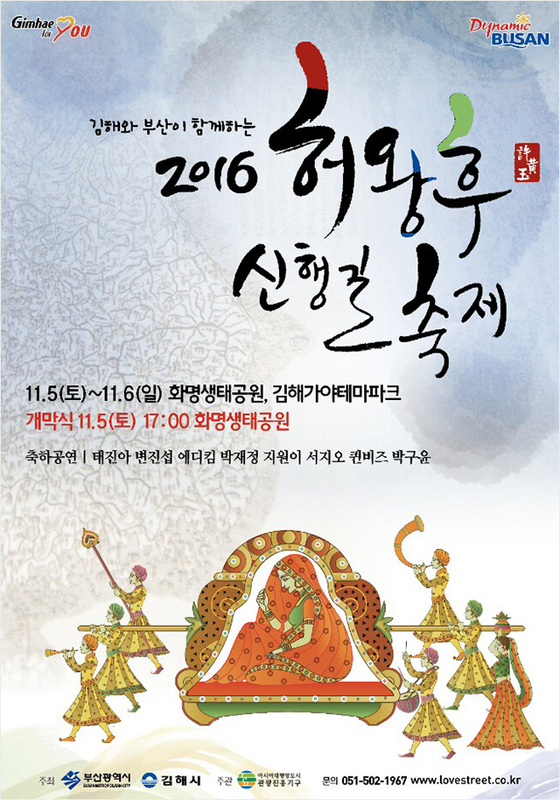 The Wedding Road of Queen Heo Festival 2016, jointly hosted by Gimhae city and Busan Metropolitan City and organized by the Tourism Promotion Organization for Asia Pacific Cities (TPO), is set to take place on November 5 and 6. The Wedding Road of Queen Heo Festival sheds light on the story of Heo Wang-ok, who came from the Ayuta Kingdom in the present-day India to marry King Kim Su-ro of Garak Kingdom around 2,000 years ago, as well as the historical sites in Gimhae that have ties to Queen Heo. This year’s festival is expected to contribute to the promotion of economic and cultural exchanges between Busan city and India and to help establish a cooperation system for cultural exchanges with the government of India. Under the core themes of “Love,” “Youth,” “Participation” and “Multiculturalism,” the aim is to turn the festival into a participation-based tourism product targeting the younger generations and couples. This year, the opening ceremony will kick off on November 5 at the Hwamyeong Eco Park in Busan city, with the events of the Wedding Road of Queen Heo Parade, a madangeuk (a traditional Korean performance held outdoors), a fringe festival, a Gayagung Bibimbap Performance, and celebratory performances by popular singers. Afterwards on November 6, the Wedding Road of Queen Heo Experience Program for citizens and the Wedding Road of Queen Heo Musical will take place at the Hwamyeong Eco Park and the Gaya Theme Park in Gimhae among various other events organized for the festival. 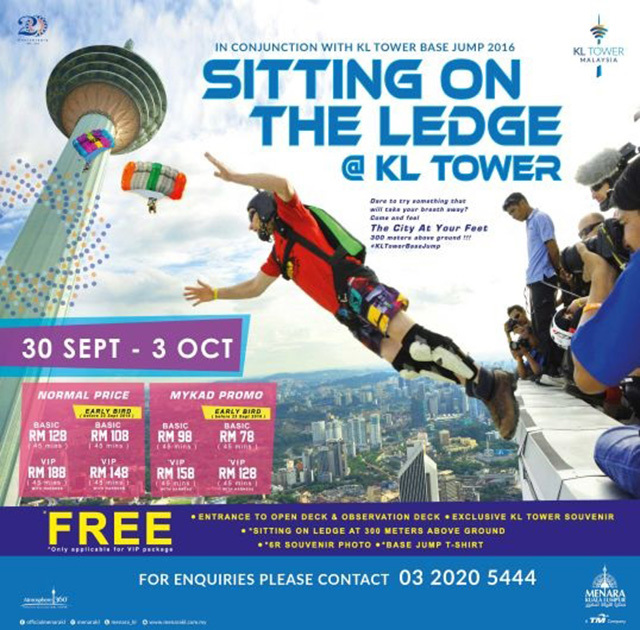 The prestigious and internationally-acclaimed extreme sports event, KL Tower International Jump Malaysia (KLTIJM) 2016, was held from 30th September 2016 to 3rd October 2016. The adrenaline pumping actions took center stage at the Open Deck of Menara Kuala Lumpur, located at Tower Head 5 (THO5) at the height of 300 meters above sea level. This sporting event was initially organized in conjunction with Menara Kuala Lumpur’s 3rd anniversary celebration on 3rd October 1999. 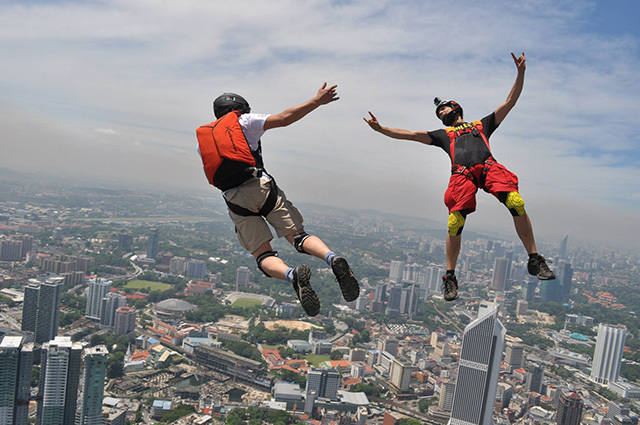 Since then, it has become an annual event for Menara Kuala Lumpur and has been listed on the Malaysia Book of Records as the first base jump event in Malaysia. The Ohara Festival, an iconic event that was launched in 1949, will take place in Kagoshima on November 2 and 3. 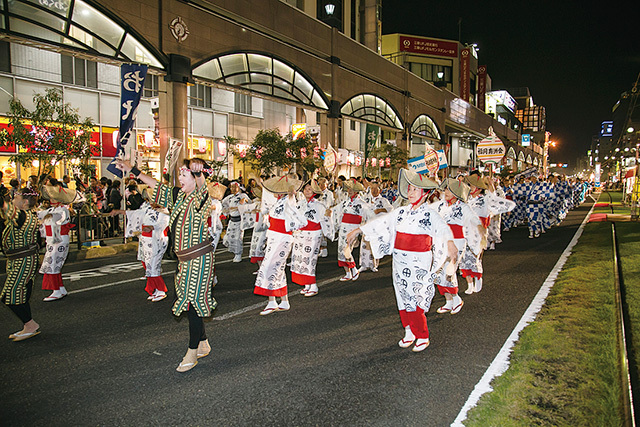 The Ohara Festival is the largest autumn festival held in Southern Kyushu, and around 25,000 residents of Kagoshima jointly present a dance parade, which is quite a spectacle. Another spectacular sight that one should not miss out on is the huge crowd dancing to the folk song, “Ohara Bushi,” in Tenmonkan train street. Anyone can participate in the dance parade, and enjoy this traditional Japanese festival and the fall season to the fullest. 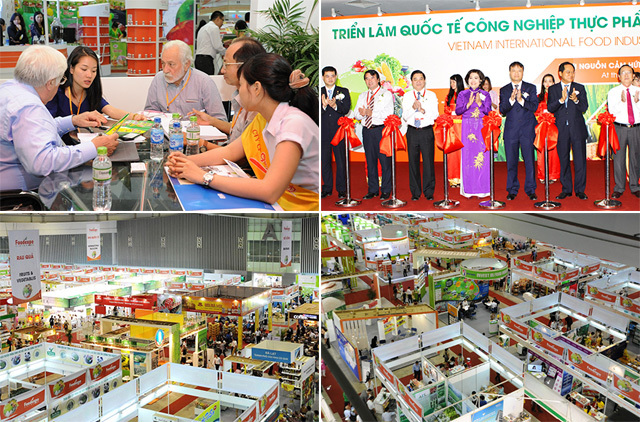 Vietnam Food Expo 2016 – the Vietnam International Food Industry Exhibition 2016 – one of the largest trade promotion events specializing in agricultural products, seafood, and the food industry in Vietnam will be held at the Saigon Exhibition and Convention Centre (SECC) in Ho Chi Minh City from 16 TO 19 November, 2016. This event showcases products like wide range of various food products and many more related products and services etc. in the Food & Beverage, Natural & Organic industries. 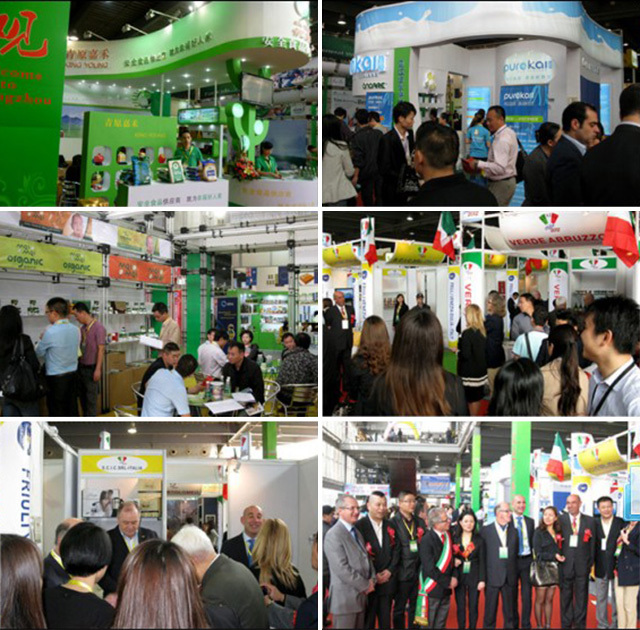 In 2015, the first Vietnam Food Expo from May 13th to 16th 2015 was a roaring success as it attracted more than 10,000 trade visitors from 33 countries/territories. With over 300 exhibitors from 19 countries, Food Expo 2015 covered the whole exhibition hall of SECC, the biggest and most modern exhibition & convention centre in the South of Vietnam. Gunsan-Seocheon Geumgang River Migratory Bird Festival will be held around Geumgang River Migratory Bird Observatory, Geumgang Wetland Ecological Park, and the Seocheon Bird Village Exhibition Hall for 3 days from November 18 to 20. This is the second year that Gunsan and Seocheon are jointly holding the festival to promote mutual prosperity and cooperation. The opening ceremony will be held in Gunsan, while the ecological experience programs, migratory bird observation tours, and a migratory bird painting contest will be in the two regions. This year’s festival is expected to create the foundation necessary for creating a “migratory bird tour area” in the two regions, which face the estuary of the Geumgang River, and providing diverse content and sightseeing programs for visitors with the use of the diverse tourism resources of the two regions. 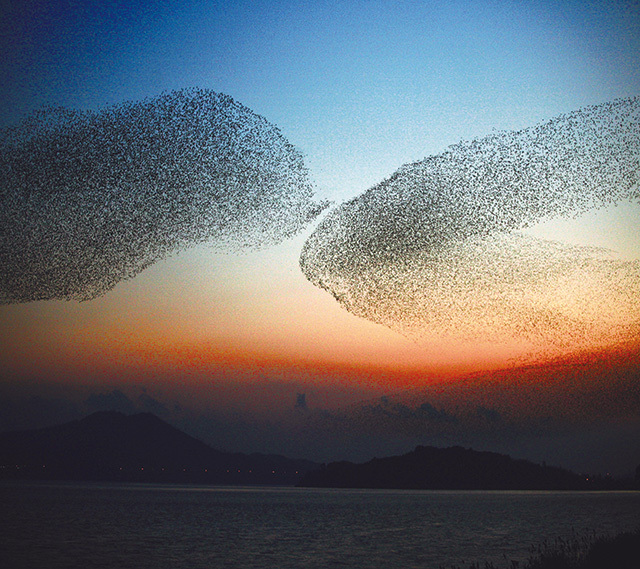 In addition, Gunsan City announced that it will conduct a contest to obtain ideas from the local residents regarding the festival programs so that the Gunsan-Seocheon Geumgang River Migratory Bird Festival may become a residents-led festival, organized and operated by the local residents themselves. 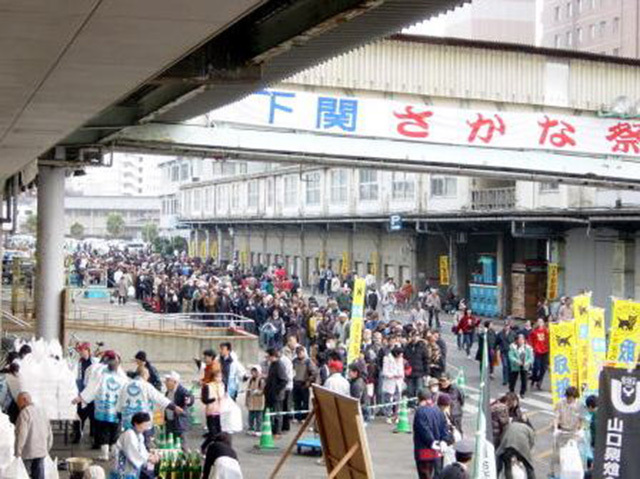 On November 23, 2016, the 34th Shimonoseki Fish Festival will kick off at the Shimonoseki Fishing Port (Shimonoseki-shi, Yamato-cho, to the west of Shimonoseki Station) in a city that is well-known as the “fisheries hub” due to its abundant catch. The festival was held for the first time in 1983, with the aim of popularizing fish dishes, increasing the consumption of fish and invigorating the fisheries industry. In addition to holding a fish market, which will offer fresh and live fish as well as raw blowfish, sushi and processed seafood products, there will be cooking classes where the participants will be able to learn how to make various dishes using fish as the main ingredient. Also, visitors will be able to try the Super Jumbo Fuku (Blowfish) Nabe, Whale Nabe and Monkfish Nabe. The main tree of the Garden of Eden, which will be surrounded by the Forest of Life Tree, is 20m in height. It will become the symbol of celebration as visitors from around the country and the world come together to celebrate the birth of Jesus Christ. The Storytelling Zone will be comprised of “The Journey of the Magi (The Three Wise Men),” “The Reception,” and “The Emmanuel Church,” while the Photo Zone will be comprised of “The Branches of the Palm Tree,” “The Words of the Bible,” and “The Creation of the Universe,” as well as “You Are a Noble and Worthy Person,” “Typo Gift Box,” and “Rainbow Tunnel” for marriage proposals. 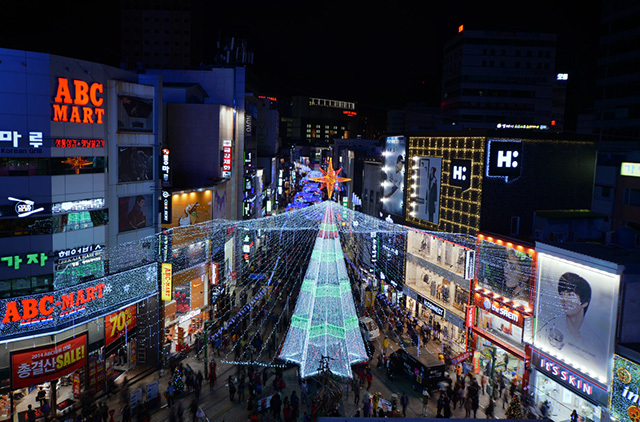 All of the churches in Busan will get involved in this year’s festival, singing Christmas carols, delivering Christmas gifts, and providing hot beverages to the visitors. In the Photo Zone, there is a program that the most beautiful and heartwarming stories will be shared and gifts will be delivered. 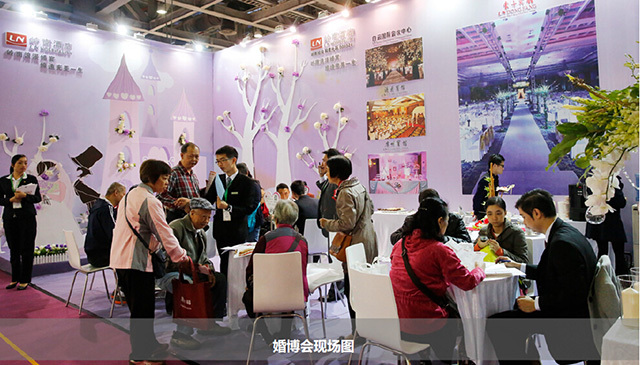 The China Wedding Expo is a world-class wedding fair organized by the Ministry of Commerce, MCA(Ministry of Civil Affairs), and SAIC? ?State Administration of Industry and Commerce). It is also supported by the respective sub-councils of the Ministry of Commerce. Representatives of luxury boutiques, famous fashion designers and celebrities from some 30 countries have attended the expo, and the Chinese wedding shopping malls have given presentations on the quarterly trends of international wedding fashion. The China Wedding Expo has become a wedding fashion festival and a one-stop wedding service platform in the past 6 years. It is referred as the “weather vane for the Chinese wedding fashion” by the wedding industry and the media. Dalian is the financial center of the economic belt of Liaoning Province in China, the largest port city in northeastern China, and a pivotal region of the Northwest Pacific. It has superb natural conditions, and is located in geographically strategic point, near Korea, Japan and Russia. Also, it allows fast and convenient shipment of cargo to and from the Far East, South Asia, North America, and Europe. Its total import in 2014 was valued at CNY 218.43 billion, which was a 12% year-over-year increase from 2013. The Dalian International Imported Goods Fair is held for the purpose of carrying out the international trade strategy in a balanced manner, promoting the transition into foreign trade and upgrade thereof, increasing the importation in foreign trade, and pursuing balanced development of foreign trade. In order to adjust the foreign trade structure of Dalian, optimize the environment for increasing importation, help the imported goods market thrive, and build a sound platform for the exhibition and sales of imported products and for trade cooperation, the organizers are making efforts for the fair to be not just a local imported goods fair, but a national one. The 2016 Dalian International Imported Goods Fair will be held at the Dalian Xinghai Convention & Exhibition Center from November 25 to 26, 2016. Under the slogan, “Stop the tracks in Dalian, and enjoy purchasing goods from the world,” there will be an exhibition of imported goods for everyday use in three exhibition zones, which will display imported food and agricultural products, imported furniture, and imported health products for seniors and children. In the 20,000m2 exhibition area, 400 exhibition booths will be installed.